Separation issues like anxiety are not uncommon for dogs especially for dogs that have been re-homed since they have already experienced someone walking away and never returning or coming to find them. Purchasing a puppy from a breeder is no guarantee that the puppy won’t come predisposed to separation anxiety either. Separation anxiety can take root before 8-weeks of age and the foundation for separation anxiety can be laid in those early weeks in the manner in which the mother had separation from her puppies. Since most people can’t spend all their time with their dogs’, it is important to leave behind a tired dog that is ready to rest while we are away. Unless there is a medical reason that prohibits it, exercise your dog before leaving them behind. It’s important we start with lots of exercise so when we leave a dog alone/separated they are ready to rest and are thankful for the quite time. A dog that is well-exercised and has had all its need met can learn to appreciate the solitude of being left along which is vastly different from forced isolation. Take your dog out daily for exercise and give them a chance to enjoy the outside world. Walks are great, but don’t turn them into a march or just a structured activity like heeling. Make walks enjoyable by giving your dog opportunities (and permission) to explore and use his/her nose to sniff those areas that are of interest to him/her as long as it is appropriate and safe. Vary the route you take on your walk and go someplace new for a walk. A large yard is no substitute for walking or exercising your dog. Even if your dog has 40-acres to run, most will spend the vast majority of the time waiting near the back door for someone to come out or to be let in. Play with your dog! Every dog should learn how to fetch and enjoy doing it with you if only for a couple of minutes. Some will naturally love to do this for hours, while others it will hold their interest for just a couple minutes. The key is that they enjoy the game with you. Some dogs enjoy running with their owners, but before you take them on a run, have them checked by your veterinarian first. My focus is on teaching dogs to be alone for short periods of time, with the caveat being they learn we do return. This is much easier when someone is home most of the time. Help dog’s learn to be on their own by incorporating times of separation several times a day when you are home. Use a barrier like a baby gate, barrier, etc… in an area of the house you can contain them safely. When you place your dog in this area be calm and casual and just ask them to hang out. (Don’t make a big deal out of it) It can be as simple as walking into any room and keeping them in or out of a room. Start with very short periods of time. Maybe as short as 15-seconds to start if needed. The goal is to keep it short enough that they do not start to become anxious or destructive and slowly increase the time as they are successful. When you do open the barrier/door be as causal and as matter-of-fact as possible and forego any greeting. You want to convey in a non-verbal manner that the separation was no big deal so no greeting when you enter or let them out. After you are able to leave your dog for more than a few seconds exit out one door and quickly enter through another door. Example would be if your dog is secured in an area like the dining room leave the patio door unlocked but shut and exit the house like you normally would through the front or garage door and walk to the rear of the house and enter the patio door. When you enter be as causal and as matter-of-fact as possible and forego any greeting. You want to continue to convey in a non-verbal manner that the separation was no big deal. The purpose of doing this is to have your exit not be a reliable indicator that you have left the house. Do not do this every time he/she is segregated but enough to be unpredictable. Take the opportunity to exit out of differing doors and return through another and sometimes the same door. Remember the goal is to be as causal and as matter-of-fact as possible, so no greeting when you enter. Just pleasantly go about your business. Continue with this several times during the day. Work up to leaving them for increasing amounts of time. Leaving a tv or radio on can help mask noises but the emergency broadcast alerts can be alarming for dogs so it is best to play your own recording to avoid this. 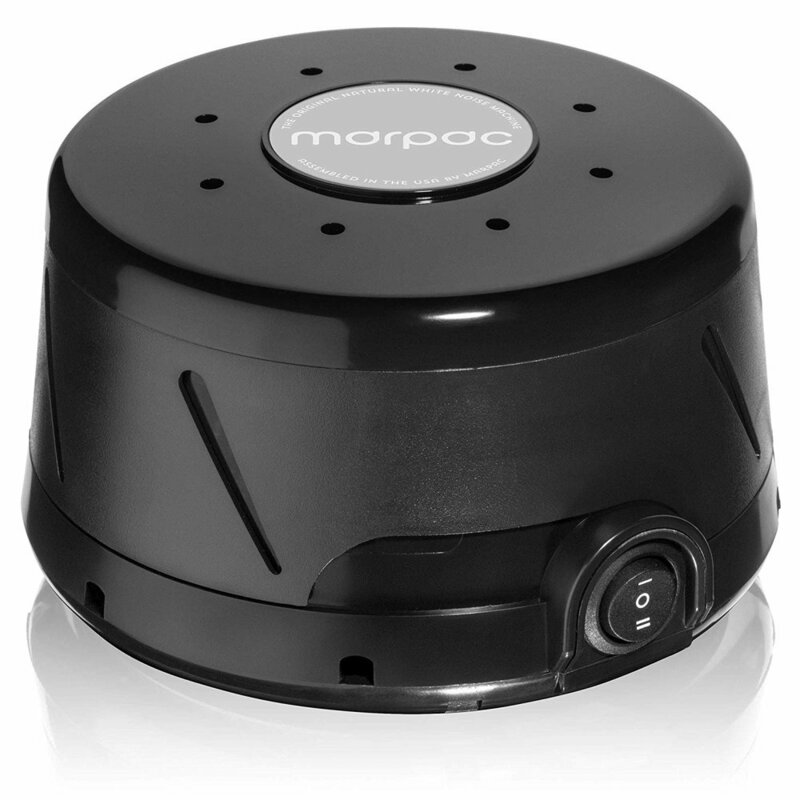 To mask the sound of voices outside the room where your dog is left use a white noise machine. Toys can be important to a dog′s development and a way to entertain and distract and they can be an important part of our program. One set that they have access to all the time to satisfy the need to chew. Treat dispensing toys to entertain and keep them busy. For dogs with separation issues it’s important not to leave the special fetch toys laying out when we are not playing. Otherwise that toy can be a reminder of our absence. As the time left alone increases start staging enticing treat toys in the separation area for them to discover before securing them in this area. Toys can help distract them from focusing on your absence. Two I like for indoors are the Qwizl and Happy Lapper since they don’t make a big mess. I stuff the Qwizl with treats or a safe chicken strip (USA made and sourced) or a small amount of natural almond butter. I often freeze food or treats in water in the Happy Lapper so it lasts longer since it is easy to get at. These could be placed on the floor with a simple sheet of paper covering it ready for discovery. Make a recording during quieter times when you are home. Just record background sounds during calm not excited times so your dog does not think they are missing out on fun activities in another part of the house. The recording should include any normal sounds of activities while you are home e.g. working at your desk, in the kitchen, on the phone, vacuuming, etc. Then before you leave the house place one or more items of recently worn clothing just out of view in an area of the home where we want your dog to believe you are. We want the family’s scent strong enough they think you are still there just out of view. Then turn on the recording you made and let it loop (continuous repeat) before you exit. If your dog has already learned to have alone time while you are home, then if they did not see you exit, they will still smell and hear you in the home, therefore you must still be home! When you do return just be casual and don’t offer a greeting right away or open the barrier to give them free access. Wait a couple minutes after returning from another part of the house where you were out of view and let your dog out of confinement.